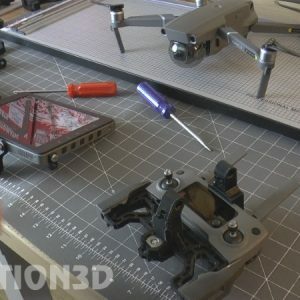 CrystalSky Monitor Mount System for the DJI Mavic Pro 1, Mavic Pro 2, Mavic Pro Zoom, Mavic Air, and DJI Spark.. Yes, it fits them all.. 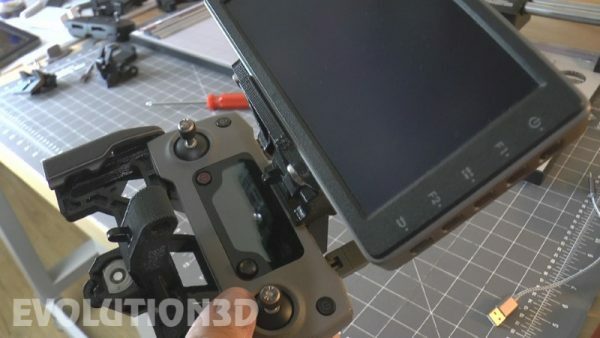 Note: rear mounting piece, DJI adapters, Smartphone adapter, Tablet adapter, and universal backrest piece are all optional accessories and do not come with base system. They can be added via checkboxes before you add the mount to the shopping cart and they each add additional cost to the basic setup. 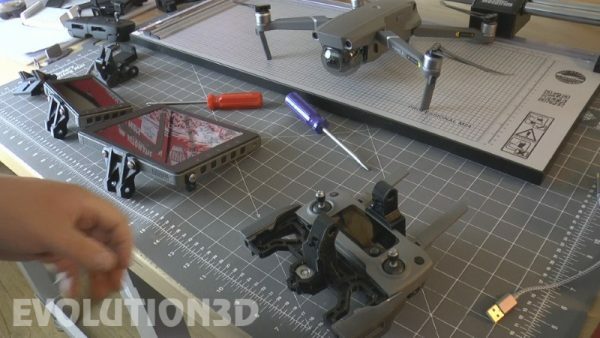 All of these parts are explained in great detail in the product video. Please watch the video. 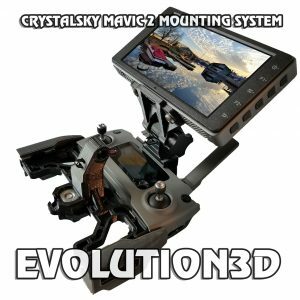 CrystalSky Monitor Mount System for the DJI Mavic Pro 1, Mavic Pro 2, Mavic Pro Zoom, Mavic Air, Mavic Platinum, and DJI Spark.. 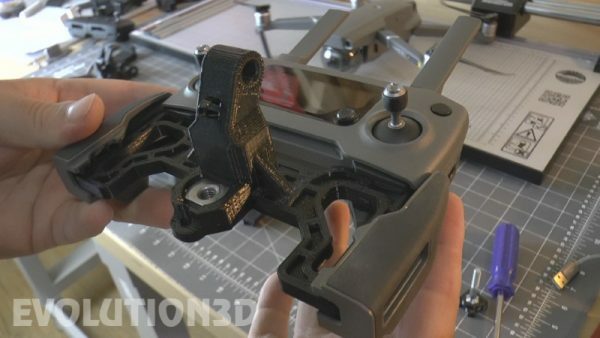 Yes, it fits them all..
Mount the DJI CrystalSky high or low.. your choice.. and at whatever angle you like.. made with super tough PETG Material which is also heat resistant so it’s safe to leave in a hot vehicle or use in hot environment. Works with the 5.5 and 7.85 CrystalSky. 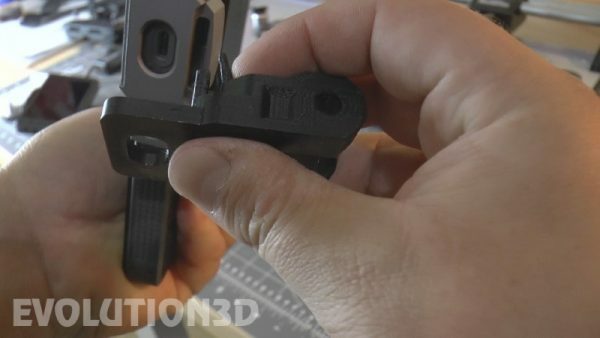 Same hinge system all my existing mounts have used for the past 3 years.. 1/4-20 thumb bolts.. these hinges are tough and stay quite tight..
Comes with my usual 3 month Warranty.. and even after that I sell pieces at cost should anything happen. You just pay shipping. 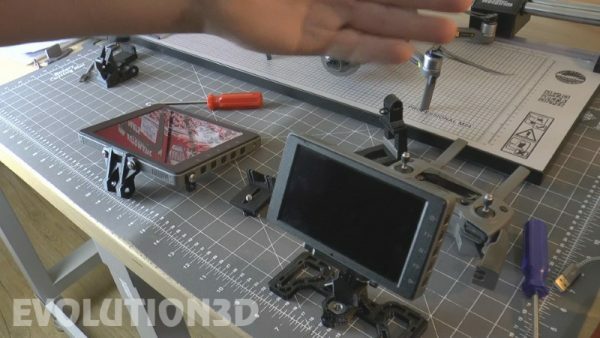 See Video Review at Link Below by The Mad Angler..
I’m confused about the optional accessories? 90% of the people confused about the optional accessories did not watch the product video where I explain everything in great detail. Please watch the product video. 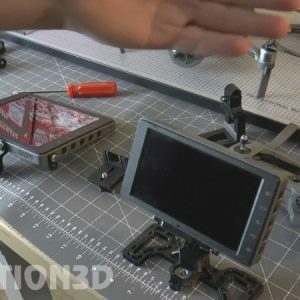 I spent a lot of time making it and really, you shouldn’t be purchasing the mount until you have watched the product video anyway. I don’t want the option to mount at the lower front position. I don’t want an arm sticking up there. I only want to mount on the upper rear area of the radio. 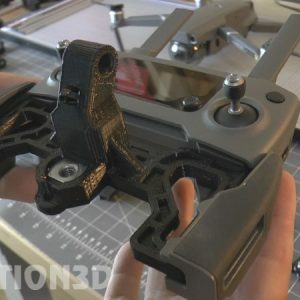 Do you sell the main front piece without a mounting arm on it.? Sure, just email me and tell me you would like a main front wing piece with no arm. The price will be the same. 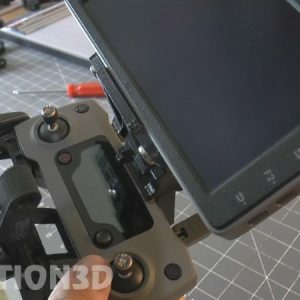 Do I need DJI’s $80.00 dollar CrystalSky Mount in order to use this mount? No, you do not, our mount system does not require that part to function. You will however need a suitable USB Cable. See below for a recommendation. How long of a USB cable and what type is recommended for this setup and the CrystalSky Monitors? I like using a straight 9.6 inch (.8ft) USB A to USB C cable. That’s the perfect size. You DO NOT want one with an angle. 12 inch is also a good size. We sometimes have some of the CableCreation 9.6 inch cables in stock, but please be aware they are cheaper if you buy them from Amazon than from us. This one off of Amazon is a great cord to consider. 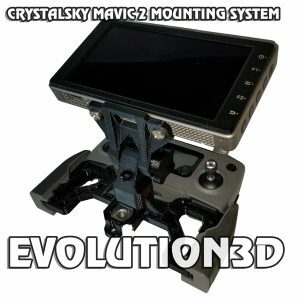 If I buy the Mavic Mount System can I also mount my CrystalSky monitor on the other Evolution3D mounts that I already own? 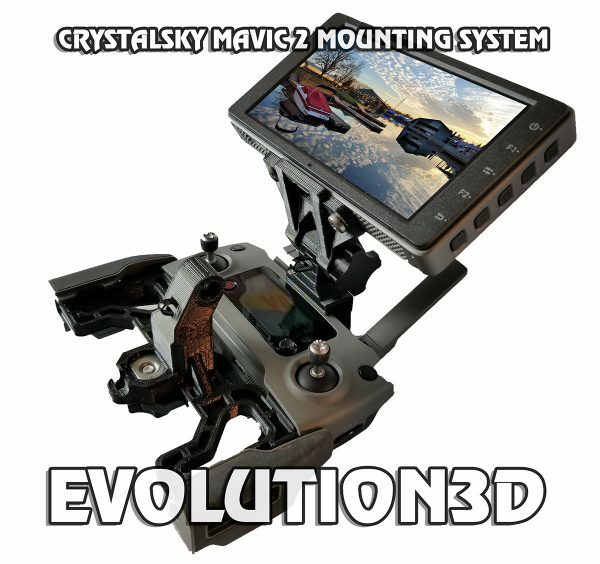 Yes, if if you own any of our other deluxe monitor mounts you can mount your CrystalSky on them using the same adapter that comes with the Mavic System on this page. 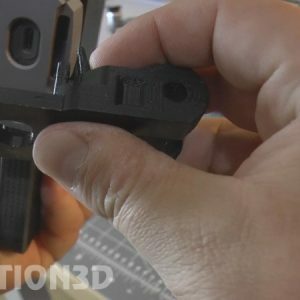 All of our thumbscrew joints are compatible with each other.. so for example you could use your CrystalSKy on your Mavic then move it easily to your Phantom 3/4/Inspire radio setup. You just need one of our mounts to do so of course. 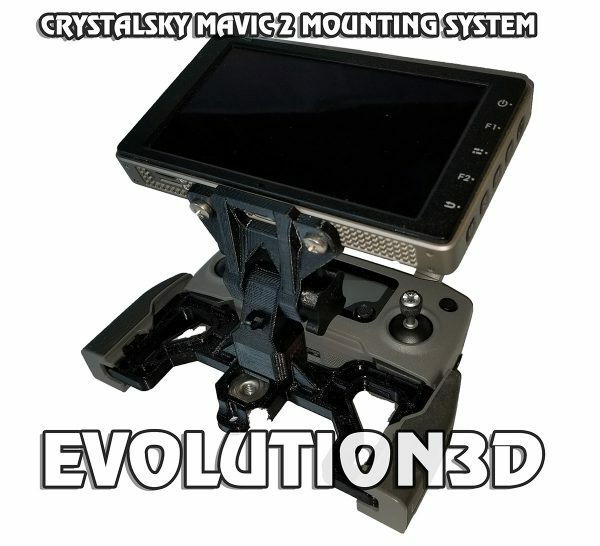 You could even use your CrystalSky on your Taranis or Futaba radio provided you have one of our deluxe mounts for it. A scenario like that some use as you can now run some 3rd party android apps on the CrystalSky. 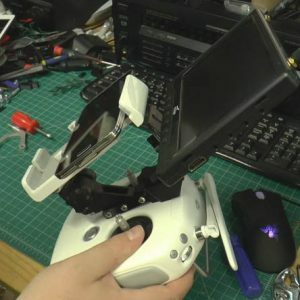 Will this adapter fit on a DJI Spark or Air Radio? Yes, it fits fine on both.